Started writing the other day for the first time in a long while. It wasn't great, I doubt it was more than 200 words. But now I am up to 1100 words in a new story (yes, that's right, a new character is talking). This one's different. I don't know if it will turn into anything publishable. It has a solid general plot, but there are a hell of a lot of kinks to work out. It's a religious paranormal so far, though we will see if it continues on that route. In other news, YES, I am still working on the YA novel, though production has halted somewhat until I get a typewriter as the character demands. Having said that, I just found a used one this morning - hoping it works out and the person responds to me positively. And for those of you who loved the Life's Series, YES, there are more books coming. In fact, all but two have been finished. But, I chose to put them aside for a little while so that I can concentrate on getting out the YA. - Arkem's story: the son of Seleah and Tomlin, Arkem is perhaps one of the darkest characters I have ever written. Cursed with a dual soul like Seleah, he has an especially hard time keeping true to himself when battling his other half for dominion over his body. - Benji's story: you asked for it (repeatedly) and Benji answered. Get the full account of little Benji's tale - what happened to make him under StPatrick and Tomlin's care, what he did after the school...his story is endearing and heartwarming. - Life's Series Novella: the end of the series, this novella takes a very different twist from a young man who never wanted to be a vigilante, and another who wants nothing more than to tell their tale. Noe, People always tell me they appreciate my honesty and transparency on my facebook page. So, here it is - why am I putting aside finished manuscripts for unfinished works? It's a matter of business. YA sells quite well here, and while I absolutely love my Life's Series, it doesn't sell as well as I would like. So, I want the YA sales to be able to offset those of my thrillers. In this way, I can get out a great book for my daughter (as I originally intended), make some sales, and then have the resources to get the last of the Life's Series out. As I said, a matter of business. As writers we are often forced to put aside out love of one topic to do WHAT IS NEEDED, whether that is postponing a book launch, to reallocating writing time for a submission or a commission. This happens. It's no different than any other career out there. Decisions are made and carried out. That's perhaps how I know I am taking this seriously...I am making decisions based on what will be beneficial for the long haul. It's not fun, but it feels good. I know I have had a number of people concerned lately that I had stopped writing, that I haven't posted much to my pages. From the bottom of my heart, thank you. It means a lot when you think you are invisible and people (some of whom you have never met) prove you wrong. I haven't said too much about it, but I have been having a lot of health issues since January. I have been trying to find answers, but was stalled last week with a neurologist who decided it wasn't worth continuing to search for a cause. I have since gone through grief and self-pity and now am just mad. I have several leads for new doctors who will hopefully help me to find a cause and treatment method. What does this mean for my writing? Well, it has been slow. Considering I usually write 25-40,000 words during any given month, and couldn't even make 20,000 during NaNoWriMo...well....needless to say, writing again is heart-warming. And my artwork? pretty much non-existent. But, as I said, I am working toward answers. With any luck, I'll find some soon. That's it for now. months worth of updates in one post. Please respond and comment or pm me - I love comments, I love feedback, I love discourse. September is the start of the year for many people. The start of school, the start of kids activities, the start of the holiday seasons. 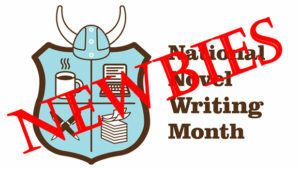 For others, including me, it is also the start of planning for a year of writing that commences with NaNoWriMo. A year, you say? 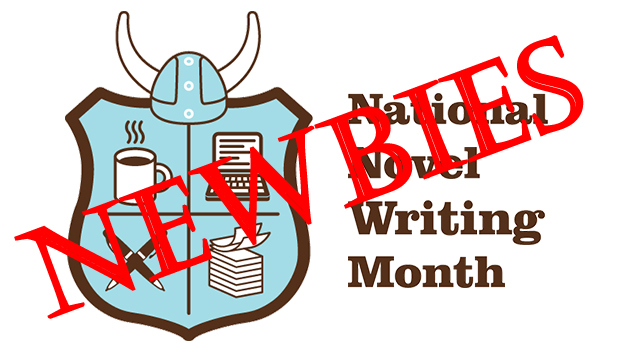 Isn't NaNoWriMo only over November? For some, yes. For newbies, very likely. But for people who have learned how to harness the benefit of this motivating experience, NaNoWriMo is less of a sprint and more of a marathon. So, for those of you trying on your paper shoes for the first year, those tying your stylus laces and pulling up your tablet sweats, let me loan you an inspiration sweat band. Not having a writing schedule is perhaps one of the biggest ways to kill your NaNo dream. Whether it is setting aside an hour every night or arranging for an entire day every weekend to flog your keyboard, you NEED to have a set schedule when you can sit down and write. Some people need absolute quiet, some need chaos. Some need to stimulate their other senses to stay focused - music, smells, lights (or none), textures. There is no set blueprint for a writer's space and what it should be like. With one exception. It needs YOU and some way to record your words. So, if you aren't sure what kind of atmosphere you need for your success, do a few trials before November 1. Write in a park, a restaurant, a coffee house, a library. Blast funk or classical on your headphones, wear sound-deafening ear plugs... Believe me, you'll be glad you got over this major hump right away. Part of planning for writing during NaNoWriMo is planning for NOT writing. There is a real possibility that whether or not you have done this journey before, you will find yourself five days, ten, twenty-five in with NOTHING to write. For whatever reason, your hands will cramp, your well of characters and settings will dry up, your inspiration will turn to proverbial monkey-crap. This is where having a list of your projects, is helpful. Be prepared by making a list of ideas that could become something, short story concepts, inspirational images you can use, partially completed pieces, and items that just need editing. Having an option of many different genres and pieces is your solution to your writers block with that specific story. Help is only a word, a text, an email, a facebook message away. There are no rules about NaNoWriMo being a lonely boat on a vast ocean. In fact, many of the very talented guest-writers the site promotes will say that having a support team will be an important key to success. Think about it - instead of rowing that boat alone, pass out the life vests, hand the others each a paddle, and enjoy an easier haul into the horizon. Your support team is going to be there for you to help you out. They will be there to raise you up and encourage you. When you falter, let them know. I guarantee your team will want to know and share in their own misadventures. The NaNoWriMo site has a nifty word-counting feature. It will give you a report of how far you have come (percentage and word-wise), how far you need to go, when you will finish based on your daily current word count. This can be both wonderful (if the muse and time are with you) and devastating if you are lagging behind. BUT, recording your word count daily is important. Being accountable is a NaNo staple. Personal accountability, or reporting within a group is necessary. It is the way for you to know if you are behind and need to catch up, if an idea is lacking and needs some inspiration, if you should quit your job and take up the pen as your main income (just joking - writing as a career is damn hard and difficult to establish as a mortgage payment). Seriously though, being accountable to yourself is a way to develop your own self-discipline. If you want to continue your literary journey, you will have the ability to set goals, break them down, expand on them, and do them. It doesn't matter what you write. It doesn't matter if you do two weekends of intensive 9-9 pen to paper, or 1600 words a night. As long as you are getting words down, you are succeeding. Want another secret? It doesn't even matter if you do the goal of 50,000 words. Sure, "winning" NaNoWriMo is great - there are all sorts of discounted software, site, and publishing incentives that come with the win. But, above all, NaNoWriMo is to get you to start your journey. As long as there are footsteps in the sand of the literary beach, you have done well. It is an unexpected joy, to see a friend's dream come to reality. Such was the case in coming in, part way, to Sandra Hurst's journey. Sandra already had much of her novel, Y'keta, written when she introduced herself to me. I had started to attend the same monthly bookstore open mic night that Sandra did, and for whatever reason, she decided to reach out to me. And I'm so every glad she did. Since then, a year and a half back, Sandra and I have become fast friends, and I have been pleased to see her manuscript go from her self-proclaimed "baboon-crap" to a finished manuscript, to a proof copy, to a launched novel. This week Sandra was overjoyed and shocked to see Y'keta on the Calgary Herald Bestsellers list (#2 even!). I wasn't shocked. I knew she would get there. For although I observed Sandra's trepidation, her worry, her small victories and blows of self-doubt, I saw Sandra's talent and magical fluidic language, spiraling around her characters, creating a world of wonder and tribal-influenced reality. From the outside, I had no doubt her novel would be a success. Not. One. It is different, seeing a book come to reality as an outsider. Well, as a partial outsider. What I mean is, when I am publishing my own, I know the many steps I need to take. I know the late nights, the heavy decisions, the endless edits, the long waiting and weighty financials. From one step out, as a friend, I could watch her go through the same, but also lend support where I could. That meant anything needed, from suggestions on content, to praise with the cover. Wanting to make her first launch truly magical, I offered to do a few things. I didn't want credit, I just knew how stressful it could be, offering up a newly born book to the world, waiting for it to take it's first figurative steps. But Sandra's spread its wings and took flight instead. As I said, it is an unexpected joy, to see a friend's dream come to reality. I didn't think I would enjoy it as much as I did, but it was a pleasure and I look forward to it happening with many more of her stories. This is part 2 of a response to an article I read last month that argued Self-Published authors are, essentially, not authors at all. While it has been a while and the majority of the outrage over this article has died down, I am still posting this second half, more-so as a way to appease my own mind than anything. Alright. Is that really the “best system we have”? Ms Gough uses an anecdote about Margaret Atwood and a brain surgeon, in which the surgeon says he is going to write a book when he retires, and Atwood responds that she will try brain surgery. Whether or not this anecdote is correct or not is beside the point. I have experienced how easy sites like amazon, Direct2Digital and Book Baby make the publishing process (and it is, on the surface). This, along with today’s ease of technology and encouragement that anyone can use it, and makes self-publishing at everyone’s fingertips. That is the good and bad point. Ms Gough is also correct that self-publishing has no gatekeepers. There is no restriction stating an indie must have had their book reviewed by an editor. Despite knowing nothing about design they can partake of the many cover editors and create their own image. And this, against many people’s opinion, can be of detriment to both the indie and the publishing world. I have read many books now that lacked these factors, and it shows. But, to sensor authors by making them prove their editor is valid and cover designer has more experience than just knowing photoshop, that would be detrimental as well. But I will say, the indie books I have read that are phenomenal are all ones that have employed these outside services. To her point about self-published books being labelled as such, I have no problem with this. After all, most of the readers I meet have no problem with self-published works. Without the filter of the Big Five telling us what is good, a reader can find amazing diamonds hidden in every genre. When Author Earnings looked at the daily unit book sales, it showed for “every reader discovering a new Big Five author, there are literally dozens of readers finding brand new indie authors and Amazon-imprint authors they enjoy.” For $0.99 books, we’re talking roughly 35,000 indie sales vs under 5,000 for the Big Five and Small/Medium Publishers combined. I don’t hesitate to tell people I am self-published. I am a proud Indie author and would have no qualms with having to list my books as such. The impressive part is these numbers are actually a downturn for Indies from 2014. Author Earnings acknowledges much of this change in statistics could be due to a flip in tactics by big name retailers like Amazon in what they will allow for promotions, reviews, and the increasingly popular discount sites like BookBub. Small/Medium Publisher authors are now “running neck-to-neck with the Big Five” (Author Earnings) and still Indies are competitive with the traditional publishing platform. Now, when she started receiving emails from readers of her article, Ms Gough stated that he was sorry for the article, and that she had neglected to mention that she was Canadian, and as such, she “had no idea that self-publishing in the U.S. had taken off the way the way it has (not so in Canada where it’s still very small. )” (Hunt, Joe). As a Canadian myself, I find this somewhat appalling. Before I ended my contract with my small publisher for my first book, I did a lot of research on google and through my expanding contacts on what options I had. There was the obvious – try to get an agent and query other publishers, or self-publish. And, I quickly realized, self-publishing is not restrictive to where you live. Many of the authors I have now met are self-published and live in the US and Canada. Ignorance by geography seems quite the cop-out, especially for someone Like Ms Gough who has been in the literary world as an author since 1998. Now, unlike blogger Joe Hunt, I will accept Ms Gough’s written apology from the facebook plug-in on HuffPost. Why? Because just like her obliviousness to the value and hard work of Indie Authors in general, Ms Gough was uninformed. This was entirely her fault, I don’t deny that. But, this article also brought to life many opinions, and gave self-published authors and supporters of them, a platform from which to jump and state their case. And, like in any important issue, points are best made when there is an opposition to spring off. So, unlike Joe Hunt and the thousands (or more) Indie Authors, readers and supporters who were spurned, I am offering Ms Gough this: Thank you. Without your admitted ignorance, this would not have been brought quite to life. And with that I return to my opened manuscript, ready to put into my apprenticeship once more. Gough, Laurie. “Self-Publishing: An Insult to the Written Word.” Huffington Post, 2016, http://www.huffingtonpost.com/laurie-gough/selfpublishing-an-insult-_b_13606682.html. Accessed 28 Dec. 2016. Hunt, Joe. “HuffPost Blogger Attacks Self-Published Authors!” Joe Hunt, 2016, http://www.itsjoehunt.com/huffpost-blogger-attacks-self-published-authors/. Accessed 1 Jan 2016. “October 2016 Author Earnings Report: A Turning of the Tide…?” Author Earnings, 2016, http://authorearnings.com/report/october-2016/. Accessed 1 Jan. 2016. The other day my publicist tagged me in response to an article against self-publishing, not because he believes it, but because he strictly believes otherwise. I read the article, if one can call it that. And yes, you heard that snide comment correct—the sarcasm was oozing as I wrote it. I read it and was disgusted, and angered…and intrigued. Although I strongly disagree with the overall points made, the writer did hit home on a few things. And, after being disgusted with myself I had to admit, there are always two sides to every point of view. So, here we go. Speaking from the view of a writer who HAS self-published, here is what I think. Let’s start with the title. 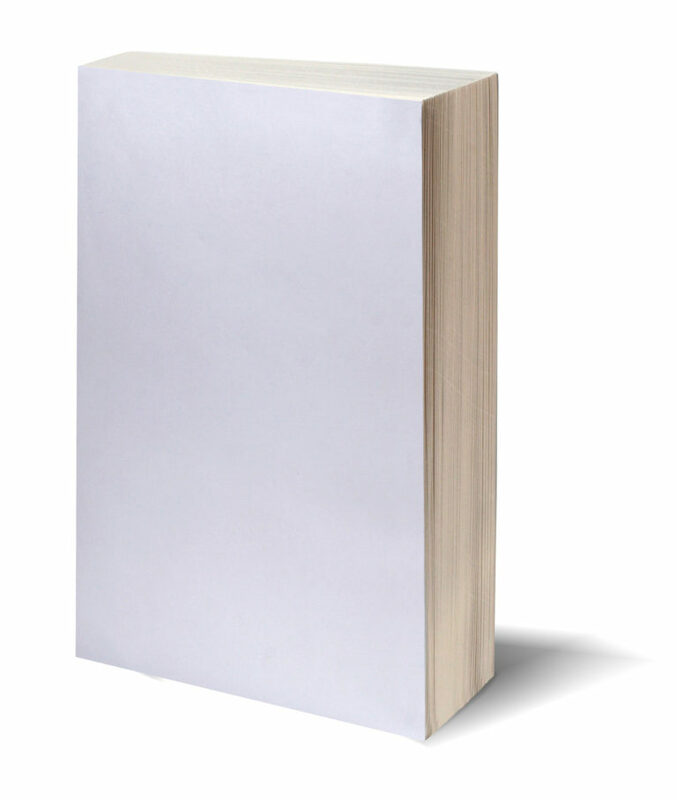 “Self-Publishing: An Insult To The Written Word”. Now, I’m not going to pretend to be all knowing, but doesn’t the written word usually refer to the bible? What exactly does this writer have against Christianity? And furthermore, how does Self-publishing relate to and insult it? Ok, I’m off the mark already, I know that. But I bet there were a few of you devout Catholics that were, for a moment, feeling that pit in the bottom of your stomach, that roiling of anger. At what? The writer? The people who dare to self-publish? I think I’ve made my point. Before you go throwing around words like “insult” and “written word”, perhaps consider the context. (And yes, I am aware I was reaching back there. Please, forgive me. I come from an academic background of analyzing and dissembling words and phrases). The article begins by saying, and I am paraphrasing, readers will only want to read books that have been published traditionally, gone through the “gatekeepers” of the traditional publishing world. At first I nodded. It was a fair enough assessment, until I thought of the many indie authors I have connected with these past few years, and the giant following of readers they have. One gets hundreds of responses when she posts on facebook that her newest book will be out shortly. Another gets a massive amount of encouragement when just the world she is writing in is mentioned. And, both hundreds in a very short time, pre-selling forty, fifty, sixty all before the book is even out. For an indie, that is golden. Ms. Gough says “Readers expect books to have passed through all the gates, to be vetted by professionals. This system doesn’t always work out perfectly, but it’s the best system we have.” Is it? Is it really? Per Author Earnings, which pulled data from nearly every ebook on Amazon.com bestseller list, even with a significant drop in Indie author earnings, their share is still approximately 40%. This is admirable, considering Independent authors are responsible for all the costs incurred with research, editing, printing, advertising, and distributing their books. That is a large infusion of money being pumped into the publishing industry, into individuals and companies responsible for bringing these works to fruition. Next Ms Gough associates “Good writers” with this traditional publishing apprenticeship, and the “tens of thousands of hours” to become a good writer. She writes these “good writers” are only so because they are rejected again and again, and are relieved at how bad they were when the first works were rejected. I agree, to a point. Rejection is important. Like being told in an office setting that your work wasn’t up to par, not placing in athletics because you weren’t fast or strong or talented enough, rejected of written work gives a writer two choices: improve, or stop. What does it mean, then, for the indie author who spends hundreds of hours writing their book, another hundreds reading and re-reading it for content errors, grammatical mistakes, sends it off to beta readers only to be told a part doesn’t work, that something is wrong. They spend another hundred hours editing and analyzing and re-writing and re-reading, finally get it off to their editor and what happens? You guessed it, the work comes back with the red pen marks. Or, more recently, the red and green and blue on the screen of the writer’s desktop or laptop. Strikethroughs, inserted words, comments, these all come back to the indie author, left for them to deal with. Now, this part of the process can be the same for traditionally published authors. Depending on their publisher’s process, some authors find the manuscript returned with implied suggestions and are asked to refine the work before the publisher will look at it again, all on a deadline. For others, the publisher takes the reign, merely giving the author the ultimatum of “accept or the project is scrapped”. For authors like James Patterson, who published novels alone in 2014, this may not be as big a deal. After all, Mr Patterson does not, in fact, write all his novels himself but hires other authors to flesh out the words while he lays out the detailed outline and plot beforehand. I have to admit, clicking that "send" on the email was intimidating. It is quite different, having people believe in something you are doing who aren't family. And both my editor Taija and publicist Mickey have shown unwavering faith in my series. It isn't that I don't believe in the series. In fact, because of the way I write, with automatic writing, I feel sometimes that the characters are really the one's writing, that I am merely a reporter taking down the events for the characters and putting their notes into book form. In this way I can have complete confidence in their tales. But, as many of my other author friends know, belief in yourself can be tricky. There is always that chance of fearing that you have grown too much too fast, or that you will fail to some degree, or that you will not grow at all. There is, often, that fear of "what if"
What if I cannot sell myself as much as I promised? What if I cannot talk about and sell the books as much as I need to? and, most importantly, what if I SUCCEED? Here's the thing, loyal followers, fear can be a tricky thing. As a mother, it can help me assess danger for my children, and weigh decisions. As a writer and author, fear can be restrictive. If open mic, NaNoWriMo, the working world and even my time at ACAD taught me anything, it is that when you want something that seems out of your reach it is best to safely set fear aside and go for it, if you are able. For me, someone who has gone through the downs of PPD and frequent anxiety, this can be a scary step. Scary, but necessary. So here I am, admitting my hesitations to the world, knowing that everything is going to be just fine in the end. Actually, it won't be just fine, it will be brilliant! How can it not be, with my family, friends, followers, my editor and my publicist, and my husband supporting me? I challenge each of you to do the same. I challenge you to take hold of one hesitation today and tuck it way down, to make way for an opportunity otherwise unrealized. And, when you do, please let me know - I love to share success. Whether or not to hire an editor before self-publishing is quite the debate. Most people know where I stand—if my name is being associated with something, I want to make sure that it is the best effort I can put out at that time. Even if that means saving up and postponing the release of a book until I have the money for an editor. On one hand, many people argue they have enough beta readers, friends and family to do a very good job at catching the punctuation, grammar, and selling mistakes within their work. On the other hand, editors—GOOD editors—do so much more. Here’s the thing. In my own experience, as each person’s varies significantly, editors will catch the nitty-gritty, finicky and bothersome problems above, as well as catch things like whether everything is staying within context. They will look over your characters as they are written and let you know if their mannerisms have changed unexpectedly. They will remind you (possibly for the six-hundredth time) about the difference between ‘past’ and ‘passed’ and ‘breath’ and ‘breathe’. Editors are, or at least SHOULD be, unbiased. What I mean is, they will make their suggestions and criticisms based on the work you sent to them, and that only. They don’t care if you have been up late, bleary eyed with a baby and that’s why you dropped out on the descriptions of one situation, they don’t care if you have been sick and rushed through a chapter. Of course, they should care. And if they are really invested in your work, they will be. But they won’t allow you to use this as an excuse. Sometimes, the sympathy our helpers like friends and family give our writing can be detrimental to the process of publishing and as growing as writers. Now, I have seen both scenarios—indie authors who self-edit with the aid of a few unprofessional helpers, and those who dish out hundreds and thousands for professional help. And, in both cases, I have seen both good and bad results. But, for anyone who hasn’t had a professional edit their work, I say go for it. Just once. See what comes of it. I guarantee you, once you find that editor that’s right for you, as not all are meant for every writer, your writing and editing will grow in leaps and bounds. I have been very touched lately by the support given by friends, family, acquaintances, and people I don't even know that are in various writing groups and pages I am involved with. I'm not sure if these people who have pledged to attend the launch and buy my book have even read the excerpt I have up on my website, but I sure hope so. While blind faith is wonderful, it would be nice to know that my story is intriguing as well. I have been wetting the appetite of my editor with small hints into chapters of the next books and she is eager to read them. With any luck I can break even on this book (my first goal, since it is rare to do that apparently) and then get far enough ahead to fund the next one. I really believe it is a good series - my characters are solid, their journeys agonizing, and either way their tales must be told. Saying this, I am also hopeful that my readership likes the evolution of the series. Like the series title, this follows the evolution of several peoples lives, beginning at defeat and despair, travelling into hope, exploring legacy and then love. All are thrillers, but the subgenre (if I can call it that) changes from more of a science fiction/futuristic feel to one of romance near the end. It has to evolve. Life evolves. The characters evolve. Yes, there is still a fair amount of increasing violence (people who like G.O.T will love the war scene near the end of the second book I think). Again, this is the evolution of life, after all. In closing, thank you again for all the support I have received. It means the world to me to have such a wonderful support system. Published on August 24, 2015 Author Rebekah RaymondLeave a comment on Protagonists vs Main Characters. Are they the same?